A lush royal purple border sets off beautiful blooms in this fancy and playful piece. 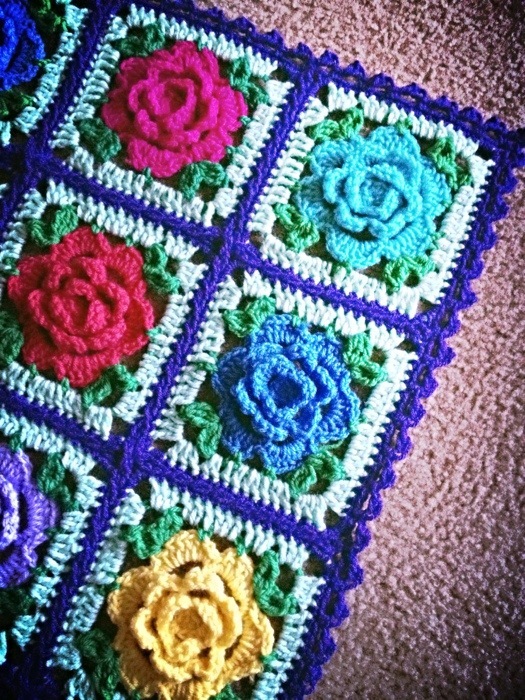 Shop this Blanket: See Babouska Rose or browse other floral pieces in my Etsy Shop! Here is a layout of color placement. I didn’t end up using this layout because I was out and about when I just decided to join them as I pleased, without a layout. Nature can be quite random, after all! I fought with a photo filter to even achieve this purple color for the joining… Imagine a royal purple and there you have it. Waiting on my iphone 5S to come in the mail as I selected it for the upgraded camera. Let’s hope it handles purples with more finesse than its predecessors! After any desired final edge is added, you will work this simple, dainty edge. An SC round is ideal. In the corners, I like to put a whole picot with SC, picot, SC. That way there is a picot in each corner. If you have to fudge a bit at the end of each side, you’ll be fine – for example, skip 1 stitch instead of 2, et cetera. This photo below shows the best rendering of the purple join without disturbing too much the surrounding colors. I used PicShop photo editor ($4.99, I believe). It has a hue adjustor that does help with purples. Not ideal, but will suffice! Posted in Babouska RoseTagged Continuous JAYG, Crochet, Flower, Motif, PLT join, Purple, Scraps, Tip: BorderBookmark the permalink. I can’t find the written pTtern link. Hello! This seems to be a popular question – one for which unfortunately I don’t have a great answer. I didn’t come up with this pattern, and so all I have is a chart that I got free online. I have linked as much as I can, and if I get the time, I can photograph a step-by- step written pattern. For now I’m chasing my little ones around the majority of my day 😉 Happy crafting to you! 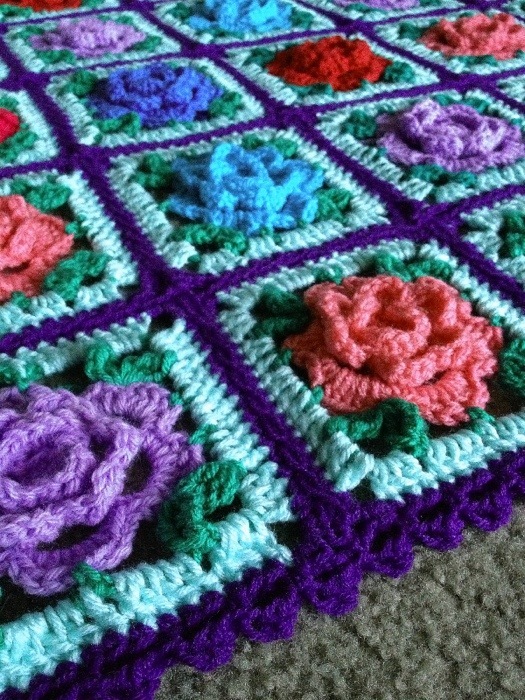 Where can I find the pattern to make the rose? 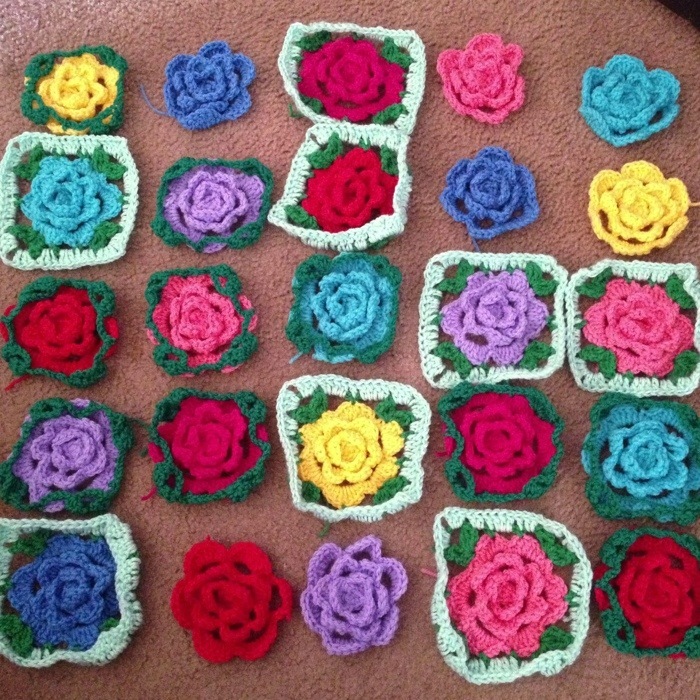 ROSE PATTERN IS ON, ” LITTLE TREASURES-HOW TO READ GRANNY SQUARE CHARTS FOR BABOUSKA ROSE”. 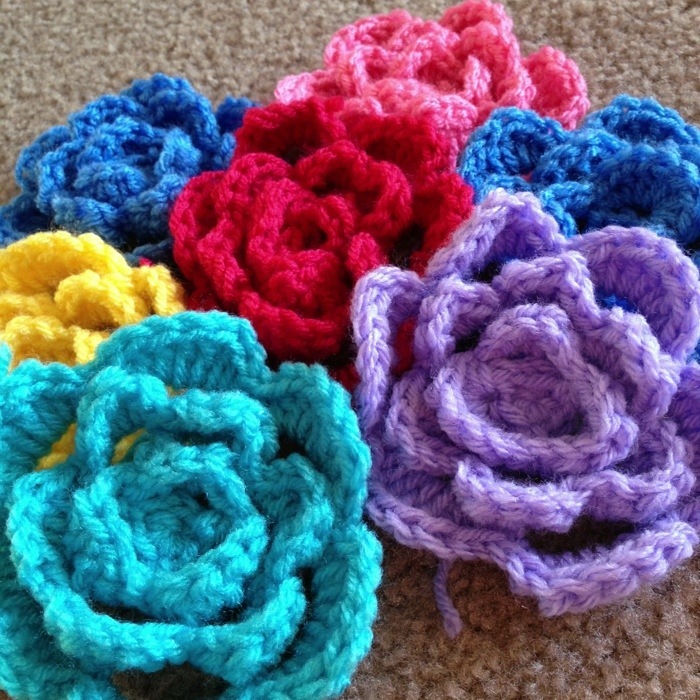 Hello.,is there a difference in the way you crochet the roses in Rose 1 and rose 2 ?